Zerys is my favourite software for pushing highly targeted content into different channels. We sell office equipment throughout the UK and we found it difficult to get results from our online marketing campaigns. Thanks to Zerys we’re now able to produce highly targeted content and work with some great writers in the industry. The best thing is our marketing team really finds the tools resourceful and is able to plan our campaigns in advance. 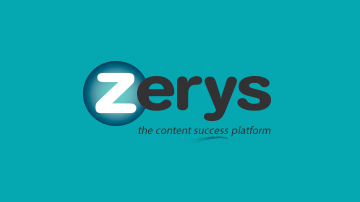 SEO, lead generation, publishing, you name it; Zerys has it all in one place and makes marketing fun and not to stressful and time consuming. It really does! I can’t stop talking about Zerys with my colleagues and peers because it is making life as a digital marketer easier for me. What a great platform tbh! We’re doing a phenomenal job turning our online business into an industry game changer, all thanks to Zerys and its wonderful assortment of tools that make content creation, management, and marketing easier than ever. After 3 months I can safely say that I’m a Zerys fan! Zerys is really inspiring us to write great content. Our content writing team is in-house so we really needed was a software that could take it to the next level, and we got it in Zerys. It has all the tools we write to produce crisp and killer content on a consistent basis, and that’s saying something. I can highly recommend this company. I constantly delayed them with information required from myself. That did not once complain and still achieved a positive result for me. Zery’s does not support its writers in a positive manner and is only out to help clients steal writers hard earned time and cheat them of their money. Terrible company that treats writers as if they are nothing. What a horrible way to treat up and coming writers. Stay far, far away!